The Northern Beaches Classic Muscle Car Show was started by Carmine Vescio and a Facebook group to bring classic vehicles to Sydney’s beachside. It’s definitely the place to check out some pristine examples of Australian muscle cars, along with some American types thrown into the mix. 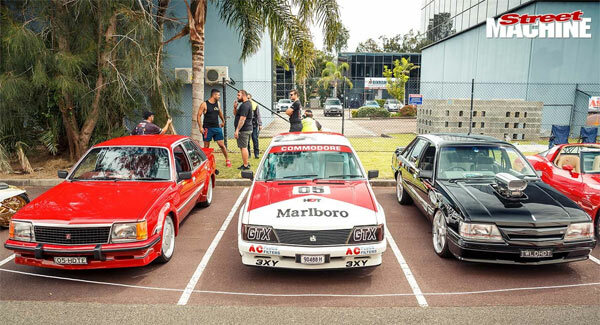 You check out Whichcar’s website, they covered the whole event, featuring some standout examples, including a 1972 HQ SS, 1970 GTS Monaro, a Hertz Mustang, XY GT replicas, a 1976 Pontiac Firebird born in the US then shipped to Japan and then Australia, a XY GT Falcon and a bunch of VC HDT Commodores. Whichcar have loads of images from the event, giving a close-up look of all these amazing vehicles. There were plenty of enthusiasts at the event, which means its likely to build year-on-year with an even bigger turnout. If you like your muscle cars, especially the Australian variety, this is one of the events to visit.